Abraham Feder — Laguna Beach Live! Abraham Feder is a graduate of the University of Chicago Laboratory Schools, studied with Richard Hirschl of the Chicago Symphony Orchestra. He has performed in master classes with The Ahn Trio, Yehuda Hanani, Eleanore Schoenfeld, Wolfgang Laufer, and Janos Starker. 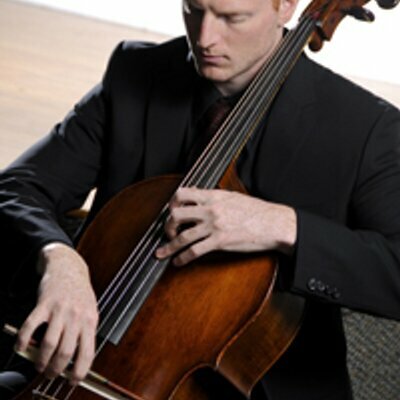 In December 2003, Abraham was chosen to serve as principal cellist of the New York String Orchestra Seminar under Jamie Laredo at Carnegie Hall. Abraham received the Merit Award in cello from the National Foundation for the Advancement in Arts. As a chamber musician he performed with the Jupiter Piano trio, piano quartet Octobre and with the Praxis piano quartet at the Fischoff National Chamber Music Competition. The Praxis piano quartet recently was a second-prize winner in the Rembrandt Chamber Music Competition and was featured on WFMT promptu program. Abraham has been featured on‚ From the Top, the NPR Classical Music Program and has been presented in recital with‚ Music in the Loft. From the Fall 2004, Abraham will be attending the Curtis Institute of Music studying with both Peter Wiley and David Soyer.